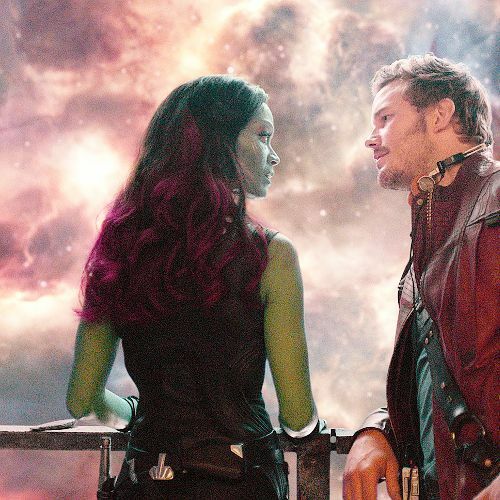 Fan Forum > Sci-Fi/Fantasy > Guardians of the Galaxy > Peter & Gamora [Chris & Zoe] #1: "I saw you out there. I don't know what came over me, but I couldn't let you die." Peter & Gamora [Chris & Zoe] #1: "I saw you out there. I don't know what came over me, but I couldn't let you die." TFTNT! Love the OP pic. ►"Family don't end in blood." I love them! I loved their scenes in IW and I hope this isn't the end of them but I'm still sure she will come back. add me I love that they really fought the attraction but are slowly coming around to being more of a couple. Quill really cares for her.